In this day and age of advancing technology and new scientific ideas, it has become a necessity for people to be completely dependent on social media and social networking sites just to get to know about the various happenings around the world. Most of the candidates do the mistake of completely relying on their LinkedIn accounts in hopes of getting a job through the said website. This is a rookie mistake made by many candidates. Keep in mind that many employers, tend to look out for deserving and talented employees through various social networking sites. And by social media sites, it is not just limited to LinkedIn only; the selection also includes the company’s facebook pages and also their twitter home sites. Also, many candidates should take this advantage and exploit the chance of using social media sites to interact with the company employees and get to know more about the company, if possible. Do not always limit yourself to job listing networking sites. Try to explore various sites that the company uses and try to find a way to interact with the company officials through their various social networking sites. Another fact that should be noted is that many companies use the basic networking sites such as Facebook, Twitter and LinkedIn. Potential employees and jobseekers can also follow them and also try to learn about their upcoming and latest technologies that they have implemented in their work environment. It also acts as a great source to get to know more about the work culture and the facilities that they have for their employees and workers. Try to be active on such websites and try to post out questions and queries that could catch their attention in a positive manner. If you are not talented in doing so, then it is better not to send out such statuses. Try to find out about various social networking sites that the company uses , which offer a chance to showcase your skills and try to be as active as possible there. Try to make sure that your content is clean and original and should be a platform to show off your professional skills to the world. For example: if you have a good knowledge about making eye catching posts and also are skilled in creating posts that can catch attention of others, then try to use facebook as a platform to garner attention from potential employers. Here, you could add about opinions and reactions towards the various trends and technological advancements and you could voice your opinion about the industry. This will be an added advantage to you as a potential jobseeker. Also, if you are skilled in making small and witty quotes then try using twitter, and if you have a knack for writing about the latest topics and trends that has happened within the industry, then try blogging in LinkedIn. This will give chance for your future employers to get to know, your opinion about the changing trends, as a potential jobseeker. It is to be noted that social networking sites are no longer considered as a medium for connecting friends and family members. Nowadays, many companies and corporations use social media networking as a method to expand their clientele and also as a platform to see how their companies are fairing at a global level. Many also use this as a chance to find about potential employees and also to learn about the new trends and technological developments that are sweeping the industry by storm. Many companies tend to find their best candidates through the social media, then it is necessary from the candidate’s side to endure that they also spend a great amount of time on such social networking sites to create such an impression. A large number of companies and corporations are investing and sending a large amount of money on their social media sites so as to provide a wide range of options for potential jobseekers who want to apply through the company website. They also provide the necessary assistance so that you can properly interact with them and enquire about the company. If you are a person who do not have the time to follow all the companies through the social media websites, then make sure that you are subscribed to them or follow them so that you get to know about the various companies that you are interested in. Many employers try to look for candidates who are very much interested in the company. So if you are already following the company through any social media websites, then it is a good first impression for you. You can also make them even more impressed by showing them that you are very much interested in the company by quoting their most popular and most recent posts that they have shared on their social networking websites. This shows them that you are an active user on social media and that you try to keep up with the company posts and statuses. This also shows that you are very much interested in investing time in their company and you are enthusiastic to work for them and be a part of their venture. Another method in which you could make your profile more searchable and prominent is by using keywords so as to optimise search results. Try to add professional and operative skills that you have and add them to your Facebook and twitter account and make it public so that potential employers could try to search you based on your skills and try to view your facebook page. Try to make sure that all your social pages are available and are easily seen on the first page of the search results itself; the more visible the higher chances that you will be seen by a recruiter. Also, new and improved technological advancements in social networking allow employers to selectively pinpoint jobseekers that are very much suitable for the job. If you are not willing to keep your private information public, it is better to keep your work experience, skills and abilities public. Improve your chances of being seen by the employer: Studies have shown that nearly 80% of candidates have their social media sites such as Facebook, twitter and LinkedIn checked by their potential employers, to check their background and to get to know about the various qualifications that they have as a candidate. It is a common happening that most of the candidates that are applying for the job have at least an account in one of the latest social networking site. The key is to create a professional and a positive page that could easily stand out from the rest of the generic pages out there. If you are very much interested in the job and the company, then try to add your own style in your social media profiles. Many candidates tend to follow a generic style of profile making which makes it harder for the employers to select the right person for the job. This can be avoided by making sure that your profile shows your personality and behaviour and make the employers feel that you are the right candidate for the job. Try to make sure that your opinions and flair will show why you are the perfect fit for the job and also will give you an added advantage for your chances on being selected for the job. Also, give an idea to the employers that your personality is very much suitable for the job and is somewhat similar to the personality of the ideal candidate that they have in mind. Many candidates and jobseekers always have the tendency to lie and add certain skills that are not relevant to them, so as to attract the attention of the employers. When the company does a background check and finds out that the candidate has bee lying, then it is seen as a breach of rust and the candidate is automatically disqualified from the selection process. So as to avoid this, try to ensure that you always present the right and correct facts about yourself and also make sure that your social media sites also bear the same correct information. Try to make sure that both your resumes and your social media sites have the same information so as to show the potential employers that you are the real deal and that all the information that you have presented is true and correct. Make sure to give them a chance to validate whether or not the information that you have given is real and true. 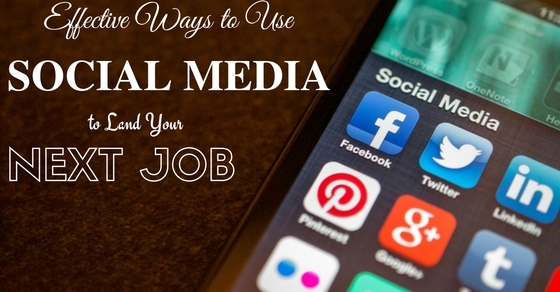 Make sure that the profiles that you have in the social media sites are very professional and they should be eye-catching to many potential employers and recruiters. Do not use any profanities, or use any harsh languages while expressing any topics that may disinterest you. Try to use professional and civilised language that should prove your point in a professional and subtle manner. Also, try to take notice of the smaller details such as the grammar, spacing and capitalisation of your posts. And also, refrain yourself from posting distracting images such as from your vacations and holidays and also your pets and such similar instances. Try to make sure that your professional social media profiles are very neutral and subtle as possible. While online, try to ensure that you are behaving in a professional manner and that you should always try to have a calm and composed mannerism while having a discussion about topics that are bothering you. As mentioned above, always ensure that your posts and statuses should have the right amount of spaces, commas, punctuations and also the correct grammar should be followed. Ensure that your profile is very much neutral and should not support any kind of factions, groups, or follow any religious sentiments. Many potential jobseekers are interested in candidates who are well rounded and also participate in a wide range of activities and hobbies. Try to consider social networking sites as an opportunity and as a platform to show the various methods in which you try to spend your free time. Try to mention about the various volunteering and charity works that you like to do during your free time and try avoiding mentioning about various controversial interests such as political party activities and also various extreme interests that may potentially damage the relationship between you and the company. Many employers try to find candidates who have a creative and an innovative profile so that it can attract potential recruiters and employees. Try to show you creative abilities by including interactive attachments and also infographic resumes so that the interviews can get a first hand idea of what your capabilities and skills are. Also, try to include creative and clever statuses so as to add a positive vibe to your whole profile. Make sure that you have enough recommendations and endorsements from your previous contacts; these may include your previous boss and also satisfied customers and professors, back up your social media profile and skills. Unsolicited and unplanned recommendations are very much powerful and impressive in creating an effective social media profile. This is applicable especially in professional social media sites such as LinkedIn and also in job searching sites such as Indeed and Monster. Try to follow these tips and tricks to improve and enhance your social media profile and you could ensure that you can have higher chances of being selected by your dream company.